Performance management is a results-oriented, outcome-based approach that uses best business practices and a comprehensive assessment strategy. With CitiTech Systems Management Software (CMS), managing any type of asset while meeting such guidlines as GASB-34, EPA, CMOM, and FEMA is a simple, fast and easy task. CMS Bridges the Gap between Asset Management and Maintenance Management and combines out-of-the box ease and user customization with Performance Management and analysis. Are you prepared? 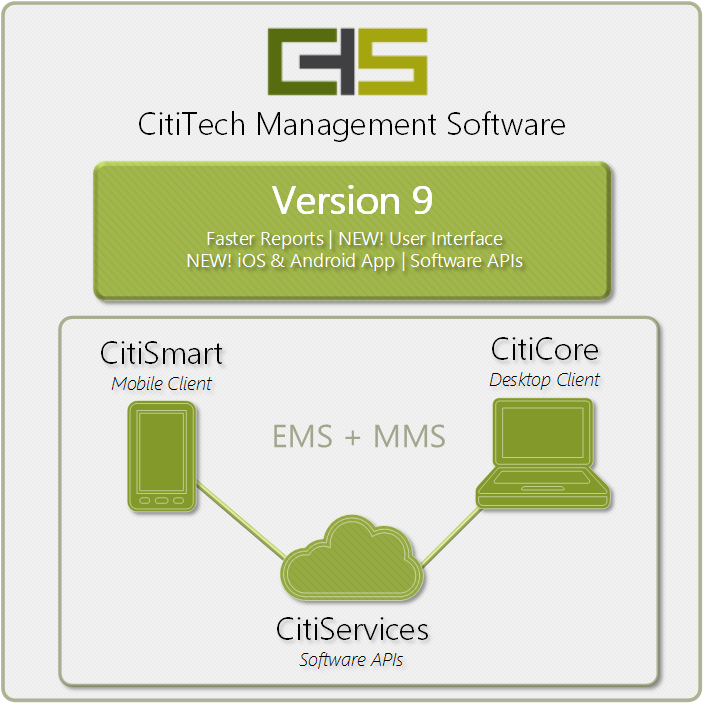 CitiTech Management Software (CMS) fully integrates FEMA reporting in daily work reporting, providing a seamless transition from daily operations to successful disaster management. CitiTech Systems has specialized in delivering and supporting comprehensive asset and maintenance management solutions for city public works and utility departments, county road and bridge departments and state departments of transportation for over 24 years. It has perfected a state-of-the-art results-oriented, outcome-based performance management system that simplifies work management, asset management and resource management... and produces measurable bottom line results! Bring all the elements of your maintenance organization under one roof! 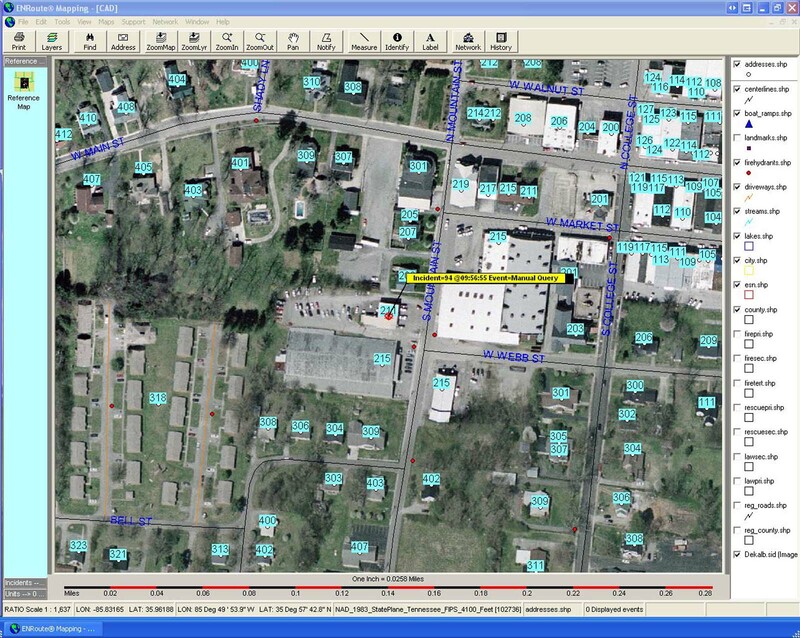 CMS is an enterprise level software solution that leverages the power of your GIS investment, and provides state of the art computerized maintenance management software. Click below to find out more! 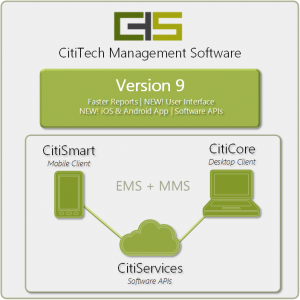 Try a demo of CitiTech Management Software today! Read on to meet our new Guru, check the news, and find out what's new! Learn more about CMS features, and find out about BPI in the “Cool Stuff!” section. What's New? MORE Report Changes! More reports that use the Data Reader are coming in future Web Updates... so stay tuned! Guru's Corner - New GURU! In the U.S., likely natural disasters include hurricanes, floods, tornadoes, heat waves, droughts, cold waves, snowstorms, blizzards, landslides/mudslides, wildfires, famine, earthquakes, and tsunamis. Or, earthquakes FOLLOWED by tsunamis (1964). And last - but not least - volcanoes! Business Process Improvement (BPI) - what is it, and how can my organization achieve it? Business Process Improvement (BPI) is an approach designed to help organizations redesign their existing business operations to accomplish significant improvement in production. Effective BPI helps to generate promising results in operational efficiency and customer focus. Identify the outcomes that would add value in achieving the organization's objectives and the best ways to align the organization’s processes to achieve these outcomes. CMS can help you improve the process! Work smarter, not harder. 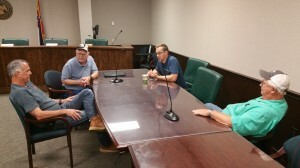 One great example of using CMS to improve processes is Mississippi Department of Transportation. They analyzed one activity (mowing) and found one district was more cost-efficient than the rest. By standardizing that district’s processes state-wide, they were able to do the same amount of work more efficiently state-wide, and saved $2.4 million – annually - for one activity! Want CMS to run faster and more efficiently? You can speed up everything from screen loading, to lookups, saving, reporting, and more - while also saving keystrokes, paper, and time! …. Read on to learn the latest exciting CitiTech News, and find out What's New Now! See what sage advice the Gurus impart, and learn about a Feature you may not even know exists! To take advantage of this potential and complement its CMS product, CitiTech is developing a responsive web application that will allow users to access core CMS functionality from a smartphone or tablet. 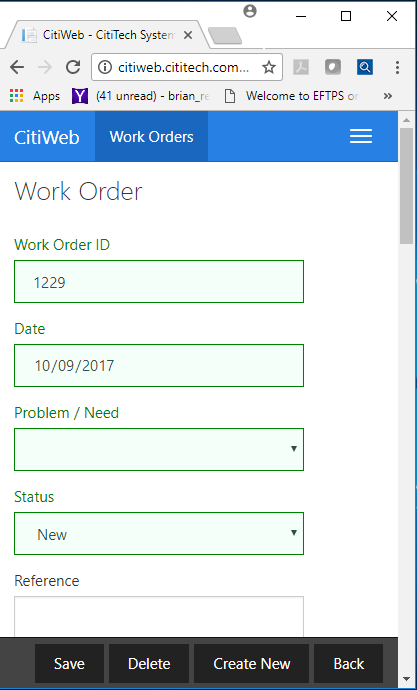 The 1.0 release (dubbed "CitiWeb") will include modules for Work Orders, Work Reports, Inspections, and Assets. It will operate seamlessly alongside existing Windows client installations and will support all major browsers. We are far enough along in the CitiWeb development cycle to begin communicating to our customers what we have in store. The responsive UI in CitiWeb means that it will adjust to the user's device. CitiWeb will provide compact and touch-friendly controls on smart phones while on desktop computers its UI will expand to fill the browser screen, showing more at a single glance. Because CitiWeb is browser-based, it runs identically on all modern smart phones and has no installation footprint, easing deployment and allowing development to take advantage of the latest web technologies. We'll be showcasing some of the features of CitiWeb in the coming months. Our team is excited to be bringing the biggest features of CMS to the web! 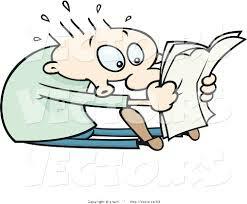 The new approach - currently in the works and being rolled out in increments - is use of a “data reader”. The data reader uses a continuous stream of data being fed by the database, instead of attempting to hold all the data at once. The data reader will continuously provide data to the crystal report document, thus lessening or eliminating the occurrence of Out-of-memory exceptions. Additionally, you can look forward to your reports being generated much faster! Guru's Corner - Speed Up Your Software! Want CMS to run faster and more efficiently? You can speed up everything from screen loading, to lookups, saving, reporting, and more - while also saving keystrokes, paper, and time! How? By cleaning up your data! I asked her, “What if you could periodically just process those records automatically?” and we went from there. You see, we have a Fuel System module that you can tailor to read YOUR automated fuel system, and create Work Reports for fueling equipment at the touch of a button (the “Fuel System Process” button, actually)! Fueling reports, as well as exception reports, are also included. Additionally, the fueling activity and costs become part of the Equipment's history. She didn’t know that the Fuel System module existed – and couldn’t believe how inexpensive it was - so I sent her a quote in writing. She discussed it with her boss, and shortly her city provided a Purchase Order number. We enabled the module the same day, and set up her profile. When we followed up to see how she liked pressing "Process Fuel" instead of entering tons of fueling work reports, we discovered that even though she no longer has to create those records, she still had to access each one - just to enter the Program! So we enhanced our module by adding the Program field; now it can read and input that automatically. Her predicament led to our enhancement... to everyone’s benefit! Physical assets include – but are not limited to - equipment, plants, facilities, vehicles, utility systems, and infrastructure (such as roads, bridges, tunnels, railroad crossings, marinas, golf courses, parks, and sidewalks). Anyone can do Asset Management using software – or even a spreadsheet! Anyone can accomplish Asset Maintenance Management using software. Smart users use software that can do both, analyze the results, and improve the process - and CMS is that complete package. Hello! We here at CitiTech Systems are still working diligently on the next awesome evolution of our software, "CitiCore", but we’ve also decided to tackle some user requests for enhancements to our current version, CMS 8.5. See the "What's New?" topic to check out some of the improvements that are making our software better. To our amazing Beta Testers: don't worry, I haven't forgotten you. I have a list of you, and will contact you once we release our "Beta" version of CitiCore, Version 9. Promise. Coming In The Future... Version 9! Our new version will be called "CitiCore" software, and will have all the features you love – only better. Some modules have expanded accessibility, some have expanded functionality, some have improved performance, and some will be new to CitiCore! Watch for our announcement of release. Version 9.... A.k.a. "CitiCore Software"
What's New? New enhancements to our current version of CMS! Obviously, “Batch Update” can’t be used for EVERY change - it depends on the nature of the change – but is very handy for making changes to multiple records at once." As one example of taking advantage of Templates, you could create different Work Order screens. 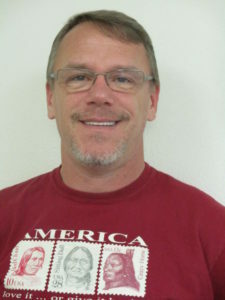 One could be for the mechanics to use for equipment PMs – and you could DEFAULT the department to “FLEET” (and optionally DISABLE that field), get rid of the “Citizen” section on the Request tab, and limit it to only FLEET activities (such as Brake Repair, Preventative Maintenance, Equipment Inspection, and Change Oil) and only to the “Mechanics” group. Another Work Order could be for the Road Department - and you could DEFAULT the department to “ROAD” and you could limit to only ROAD activities (such as Grade, Pave, Patch Pothole, Resurface, and Striping) and to only “Road Maintenance Workers”. A third Work Order template could be for the Park Department Work Orders, and so on. Learn more about Templates by reading the HELP file "user-defined forms". What does it take to create a whole new version of software? Smart ideas include involving current users, improving existing functionality and performance, and adding new dimensions to CMS' capabilities. That sounds like Version 9 to us! We began by surveying our users – what are your priorities; what's important to you? We reviewed “Requests for Enhancement” Tickets – how would you, our users, like to see CMS improved or enhanced? We reviewed RFPs – what do our future customers want in their software? We researched exciting new technologies – how can we leverage them to improve functionality, performance, and speed? We explored options with our partner, Microsoft - what is available, and what are some distributable options? We looked at other software programs – what are their great features, and how can we incorporate them into ours? We held meetings and discussed what our new software would do and how we could do it. In some cases, we went back to our users to discuss feasibility. We talked about what we had to add, what we had to change, and what we could leverage to make it happen. We even voted on how it would look. Now we’re making that vision happen! Version 9 is on the horizon - as you'll see in "Cool Stuff", below. 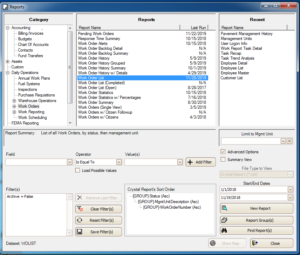 Our goal for Version 9: to provide you with easy to use, knock-your-socks-off software and fast reporting. Your job: tell us how we did. Luckily, several users have volunteered to be first; they’ll tell us what they love, what they don’t love, and what’s missing - and help us improve CMS for everyone. Thanks, beta testers! Our new version will have all the great features you've come to expect – only better, and faster. Some modules have expanded accessibility, some have expanded functionality, some have improved performance, and some, like Component Control, will be new to Version 9! Rankin County is the sixth Mississippi county to implement CMS software - joining Warren, Lee, Tunica, Harrison and Oktibbeha counties. For many years Dynamic Segmentation has been ESRI’s module to help manage data (data entry, search, mapping) on linear features without going through a process of splitting and merging. It was - and still is - heavily used in transportation/utility related industries. ESRI has evolved. The new extension - ESRI Roads and Highways - is a linear referencing system solution that allows for multiple linear referencing methods - and it can handle the temporal aspect of the data. On another note, ESRI has stopped supporting ARCGIS Version 9. CMS will continue to work with ARCGIS Versions 9 and 10 both. However, if your ESRI license runs year-to-year, you will not be able to "renew" version 9 when it expires. If you have a perpetual ESRI license, you won't necessarily need to upgrade it to Version 10; but note that ESRI won't be able to help you if you have problems with your map, and CitiTech Systems won't be able to add or change any map functionality. 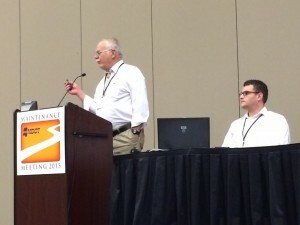 Your bi-directional GIS functionality will be effectively "frozen in time". Guru's Corner - Featuring Stacie and Jay! Accomplishments… your way! Now you get to decide how your Work Order's and Work Report's work accomplishments behave. And we listened! It inspired a new system preference - so you can have it your way. With the “flick of a switch” (system preference), you can decide how your Work Accomplishments default (0, 1, your activity’s ADP, or a negative value, which forces users to enter a valid value). The CitiTech development team has been hard at work bringing you a better experience in Version 9 - but to create something truly amazing we need you. In the near future we will be releasing our Beta version to our users for their input on the user interface for CMS, now that we are wrapping up the code behind it. CMS has had a face lift, and is taking a new name - CitiCore. We are working hard on improving its look and your user experience. This is where your feedback will matter most so we can provide you with a tool that works for you, and is easy to use. New technology is constantly evolving and we are excited to bring you CitiTech's first step into our new future with CitiSmart - the Dispatcher module. 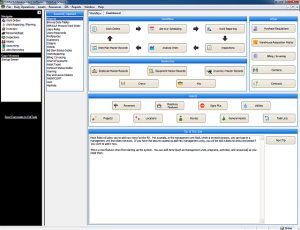 This is only one of the many steps you will see as Version 9 evolves over its life cycle and beyond. The good news: the Dispatcher module is just the first of many modules in our vision to bring parts of our software to the field. The even better news: it will also be available in Version 8.5! The next update will include this functionality... look for it in the near future. The best news of all: if you currently own the Work Order module, the Dispatcher module is yours at no charge!